BRIGHTON, Mich - 50 Years of Mustang will be Celebrated with Cross-County Drive thanks to the Mustang Club of America's coordinating efforts. Two of the massive mustang caravans will make history with a drive to Las Vegas Motor Speedway and Charlotte Motor Speedway for five days full of Mustang events. 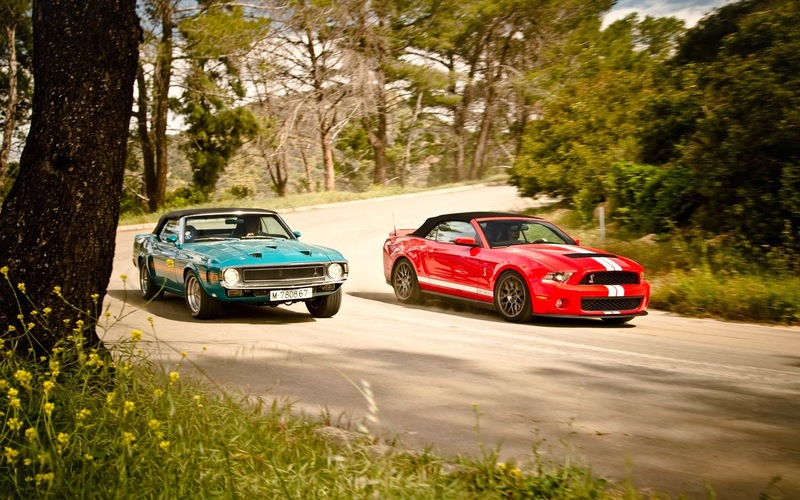 Ford Mustang lovers from all over the country are invited to take part in a historical cross-country drive starting on Sunday, April 13, 2014. The Mustang Club of America, accompanied by the support of Ford Motor Company, has coordinated an anniversary event to celebrate the iconic pony car on April 16-20, 2014. Beginning in Norman, Oklahoma, Mustangs from near and far will meet and set off on two separate journeys to the Las Vegas Motor Speedway and Charlotte Motor Speedway. These Pony Drives will allow drivers to share exciting adventures with other enthusiasts as well as share a mutual appreciation for 50 years of Mustang greatness. Each drive will offer a unique goodie box, only available to those participating, that will serve as lifelong keepsakes! Those traveling to the Las Vegas Motor Speedway will stop in Amarillo, Texas; Albuquerque, New Mexico; and Flagstaff, Arizona. The Charlotte Pony Drive will be hosted in Little Rock, Arkansas; Nashville, Tennessee; and Asheville, North Carolina. For those who cannot travel to Norman, participants can still register and meet the group in one of the other host cities. Are you interested in joining in on 50 Years of Mustang Celebrated With a Cross-County Drive? Visit ponydrive.us and mustang50birthdaycelebration.com for more information! Brighton Ford proudly carries the latest versions of the iconic Ford Mustang! You can check out our entire inventory online of new, used, and pre-owned Ford vehicles. Stop by Brighton Ford to test-drive your ultimate Ford today!